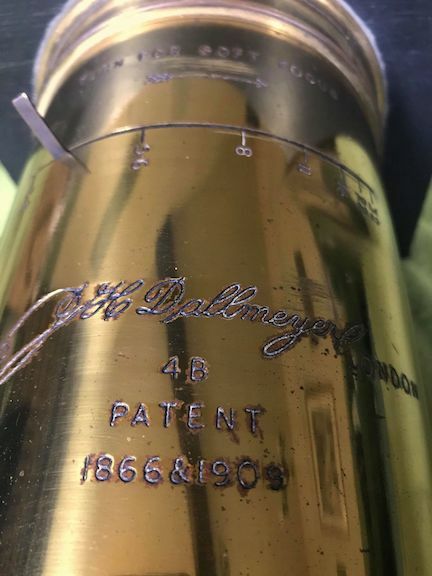 A huge thank you to fellow photographer and friend, Patrick Ballanger, for inspecting and collecting my latest purchase, proving it is still possible to find a bargain Dallmeyer lens online. 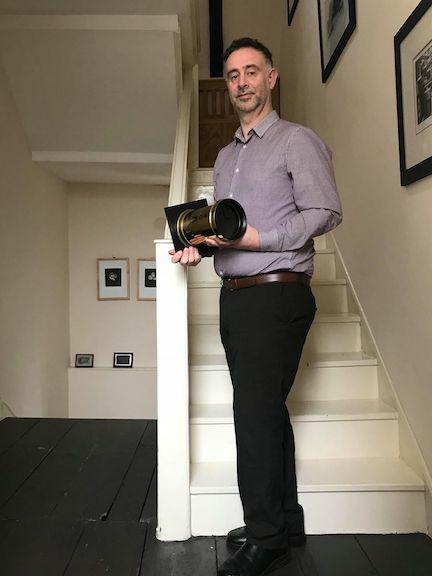 This handsome chap, the lens not Patrick, is a highly sought after Dallmeyer 4B Soft Focus lens. 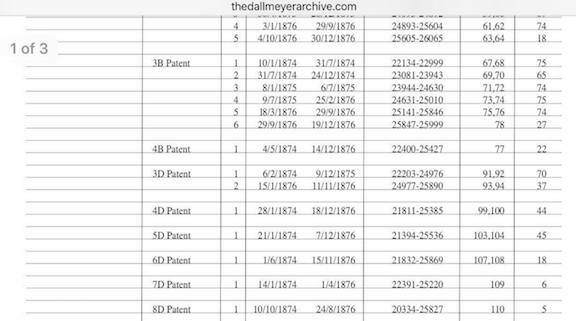 What I thought were firstly date stamps 1866 & 1909 are actually Patent numbers. Date is 1874 according to the serial number. 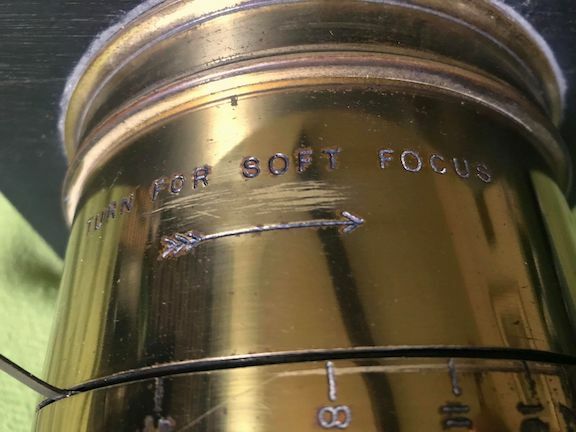 Soft focus by turning the lens barrel. 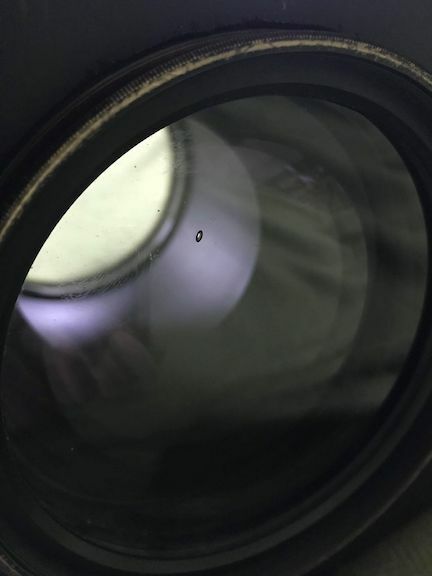 It was advertised as having a chip in the element but turns out its a bubble in the glass, looks like there are some cleaning marks also. 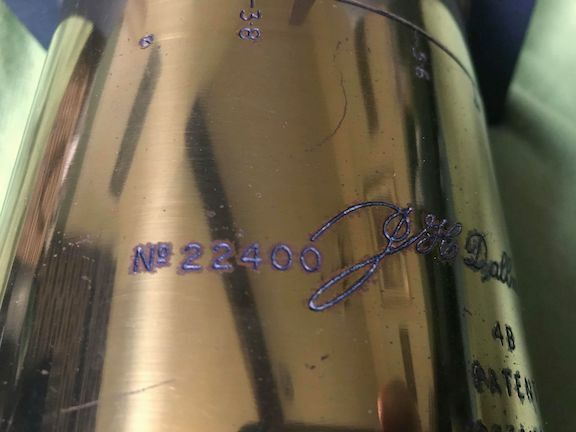 The Serial Number is 22400, which is a little exciting if the online documents are correct. 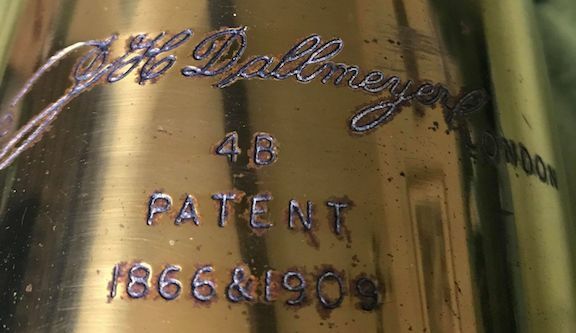 This would make it the very first Dallmeyer 4B off the production line?? Please correct me if I’m wrong but wouldn’t that be great if it was the case! Info from The Dallmeyer Archive from the late Sean Mackenna website. 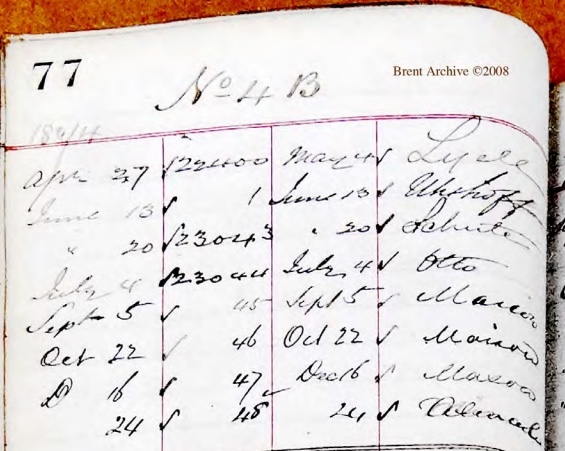 Further reading showsit was ordered/purchased by a name I cannot make out “Lyell”? Anyone know? Again I have to say a huge thank you to Patrick for being a good friend and collecting it for me. I now have to prise it from his white knuckled grip! Hopefully there will be a hand over when we meet in London in May…. I guess I can sell my Dallmeyer 4D now that its redundant…. 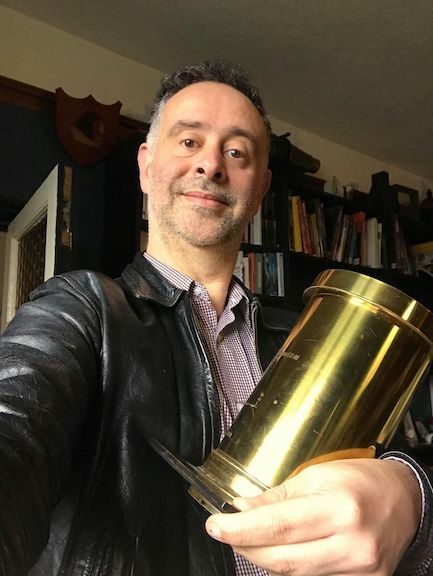 27 Mar This entry was written by Fourtoes, posted on March 27, 2018 at 11:24 AM, filed under Misc..